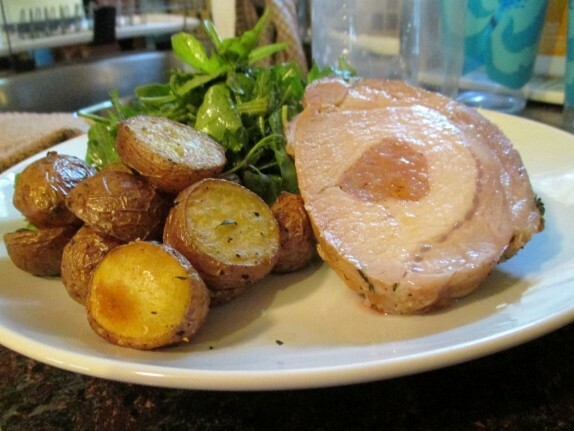 Often overlooked on healthy eating plans, pork loin is a viable protein source when you’re willing to eat a couple of extra grams of fat per serving. Hey, one cannot live off of lean chicken breast alone. I’ve always roasted pork loin studded with garlic cloves and tied with herbs, but I’ve been recently experimenting with stuffing the loin down the center. This recipe is a simple rendition, stuffing the loin with plain Italian sausage, but the applications are endless. If you stumble upon something great, let me know! Pork stuffed pork! Bring your roast pork game to the next level. Stuffed with flavorful sausage and studded with garlic cloves and herbs before roasting, you're guaranteed a flavorful roast. And when you cut into it, people will look on with awe as you plate it up. 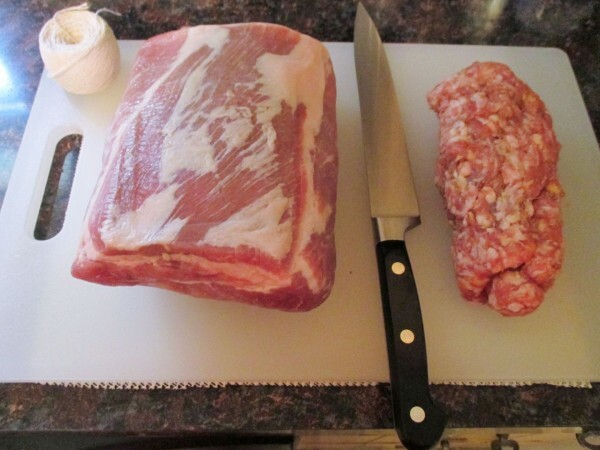 Lay pork roast on a cutting board. 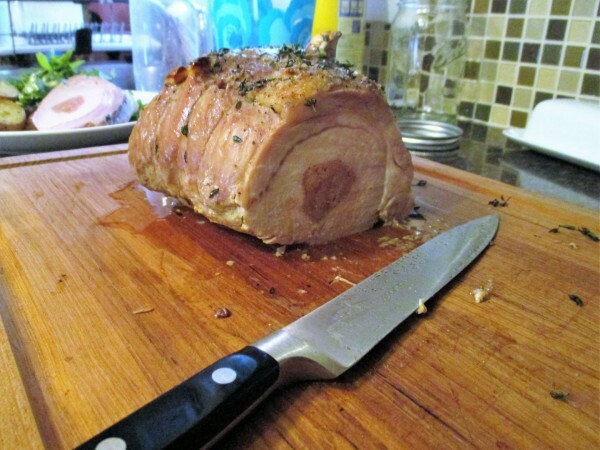 Pierce each side of loin through the center. Use your fingers to stretch the holes outward and toward the middle. 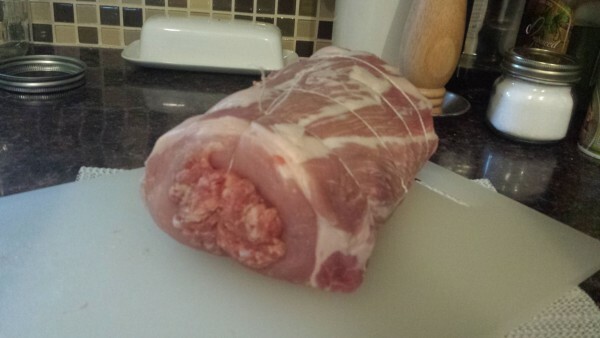 You want approximately a 1-2 inch hole directly through the center of the loin. Tie roast every 1 inch. Transfer to a roasting pan. Pierce top of loin with sharp knife and stuff whole garlic cloves into holes. 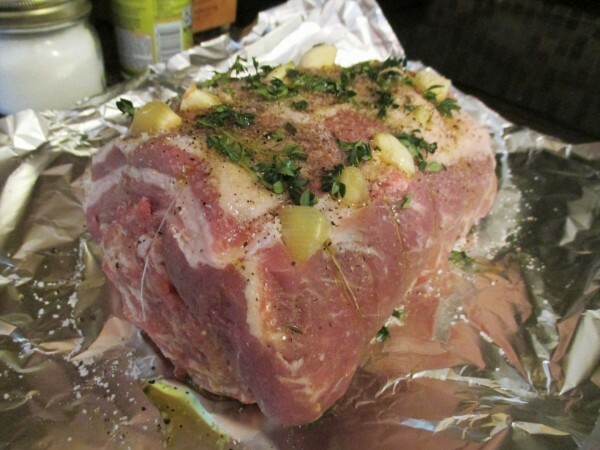 Coat whole loin with salt, pepper, finely chopped herbs, and extra virgin olive oil. 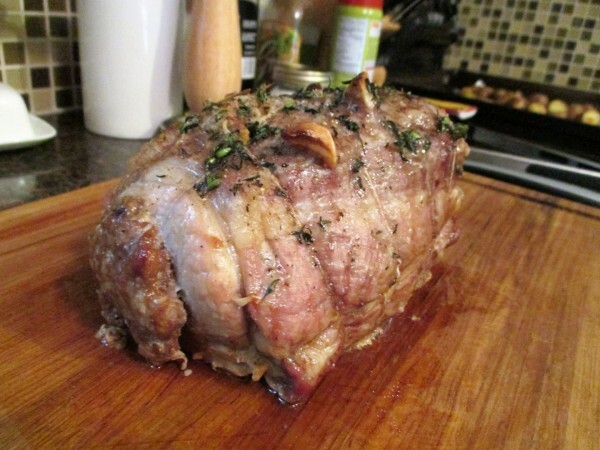 Roast in oven for 80-90 minutes or until internal temperature reads 145 °F. This will depend on the size of your roast. Transfer to serving dish and allow to rest for 10 minutes before slicing. 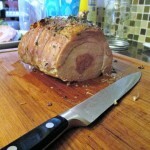 Slice at least 2 centimeters thick across the circular face of the loin. Get crazy with the coating on the loin! Skip the herbs and use Harissa for a Morrocan twist. Use gochujang (Korean chili paste) for a spicy Korean kick. Go with a mixture of ginger, pureed onion, sugar and soy sauce for an Asian style roast. Get crazy with the filling! Mexican chorizo adds a ton of flavor to the roast. 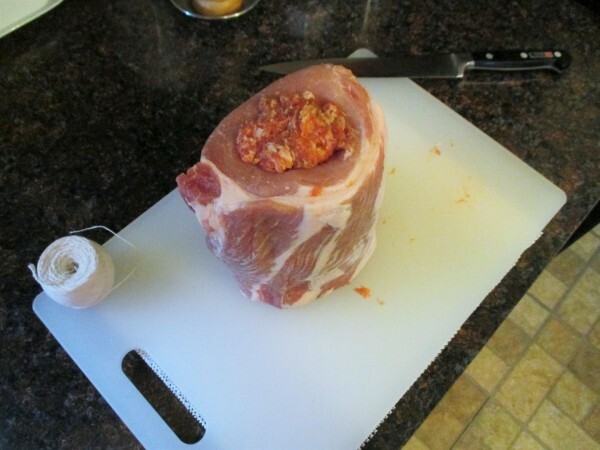 You can even make a mixture of sausage, gluten free bread crumbs, and herbs to infuse the roast from inside.